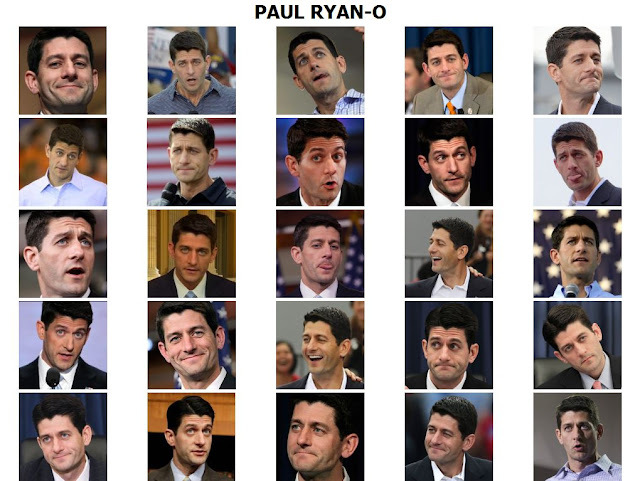 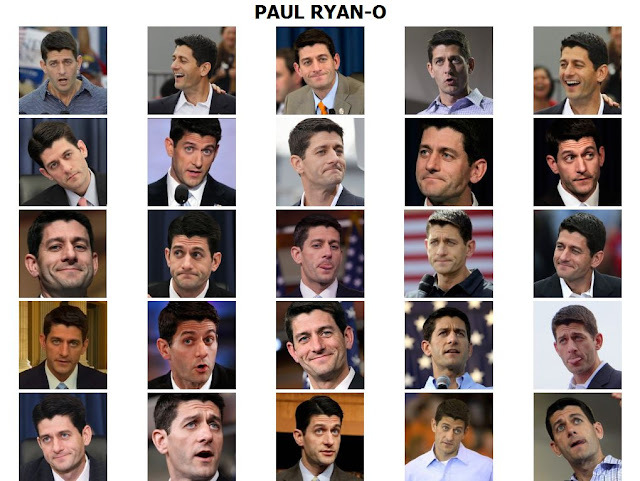 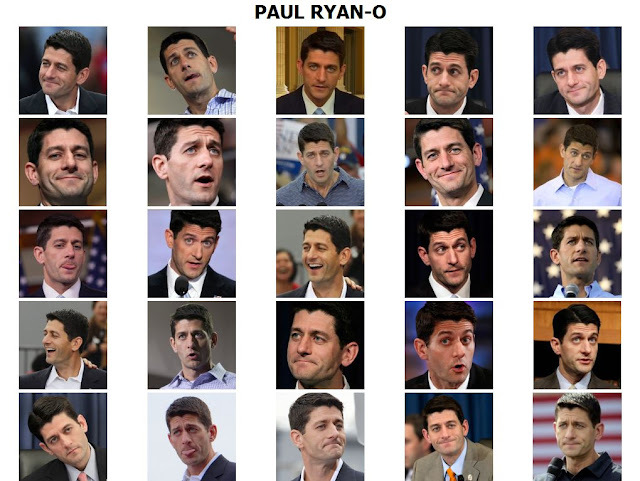 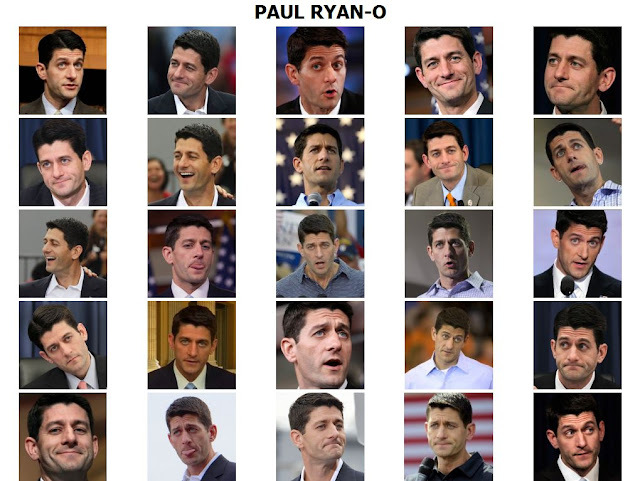 Featuring the many expressive faces of Paul Ryan! 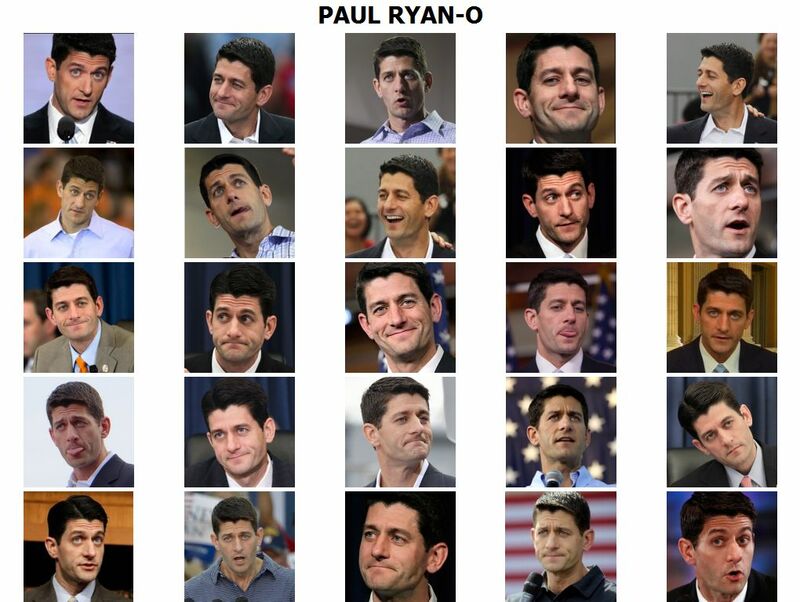 Print them out and play with your friends - mark off each time Paul Ryan makes one of these faces during the Vice Presidential Debate! 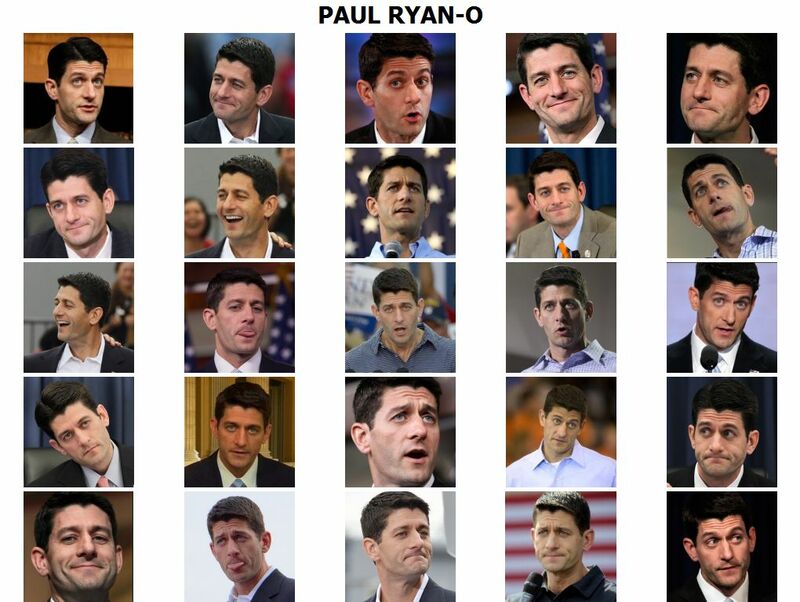 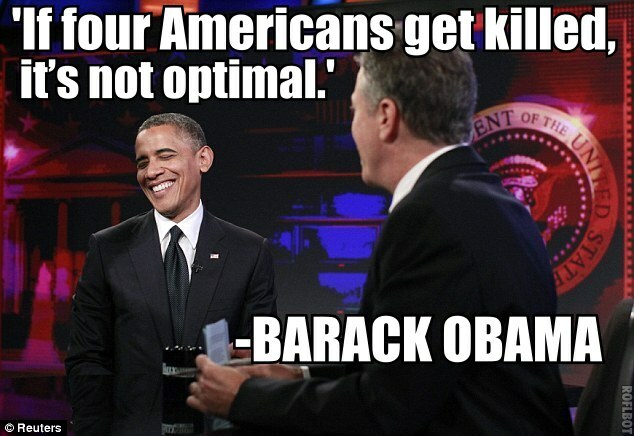 And Ryan was his name-O!